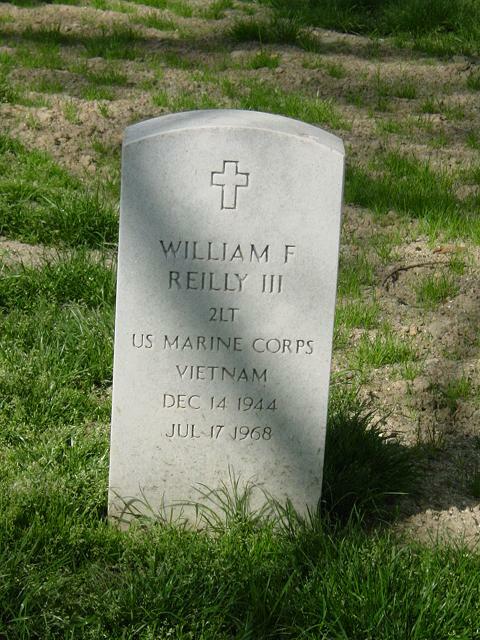 William F. Reilly III was born on December 14, 1944 and joined the Armed Forces while in Cheverly, Maryland. He served in the United States Marines. In 3 years of service, he attained the rank of Second Lieutenant. He began a tour of duty in Vietnam on May 24, 1968. On July 17, 1968, at the age of 23, William F. Reilly III perished in the service of our country in South Vietnam, Quang Tri.